It is a warm afternoon in early May, and the skinny shoulders of the Pacific Coast Highway – “PCH” to locals – are lined for miles with single files of parked cars as Angelenos enjoy a few hours of Sunday sun-soaking on the beaches along the Malibu Coast. Traffic moves at the pace of a teenage busboy past small shops, restaurants, homes and rentals, creeping toward Los Angeles in the seaside lane and Santa Barbara in the hillside one. The strip of beaches, buildings, PCH and parking spaces is less than 100 yards wide in most places, as a phalanx of high cliffs forms an impressive barrier. Here and there, a canyon breaks through from the highlands. The glam mansions of movie stars, rock stars, music stars and stars of commerce are mostly out of sight from below, set just back from the tops of the crumbly cliffs that have a tendency to fade away after heavy rains. Behind this ragged plateau of civilization, the land is rugged and wild, sweeping back for miles in places into the Santa Monica Mountains, the province of ranches, public lands, wild animals and those castaways who don’t want to know their neighbors or their neighbors to know them. But where are the vineyards? Isn’t this the heart of the newly formed Malibu Coast AVA? Elliott Dolin, a successful commercial real estate broker in L.A. and a former bass player for touring country music stars, sits poolside at his home set well back from the cliffs but still with a panoramic view of the Pacific, if one looks beyond his one acre of Chardonnay vines planted where his lawn suddenly dips down into a canyon. Dolin decided a few years ago to make wine, and, beyond this single acre of backyard terroir, has cobbled together a supply of grapes from larger growers within the AVA and others farther up the coast where vineyard land is plentiful. Dolin’s eponymous winery does not have a tasting room. 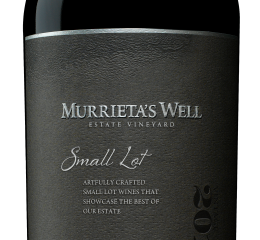 In fact his wine – now up to about 2,000 cases annually – is made at a custom crush facility 200 miles away in Paso Robles. His Dolin wines – mostly Chardonnay and Pinot Noir – are quite good and have a growing following of restaurant sommeliers and mail-order customers. If you lofted a drone from Dolin’s small estate into the breezes coming off the ocean and directed it east or west, as the coastline runs here, it would pass over properties of many other landowners with similar successful backgrounds and foregrounds as Dolin’s and similar aspirations to make wine. Many have come here from somewhere else, even one owner from France – Beatrice Cointreau of Admirable Wines, who has a long family history of producing liqueurs and Cognacs. Very few of these owners could say, at least with a straight face, that, “We are just farmers,” as many of those in Sonoma and Napa love to shout from the windows of their Land Rovers and Escalades. When the new AVA was formed, it incorporated two original, smaller appellations as sub-apps – Saddle-Rock Malibu and Malibu-Newton Canyon. Administratively, it spreads mainly across Los Angeles County, but with parts lapping over into Ventura County and includes some small incorporated towns, such as Malibu itself. 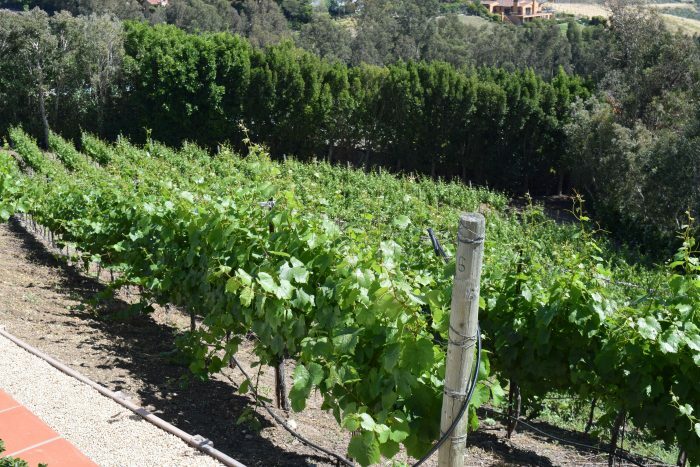 “There are only two large wineries in the region, Malibu Ranch and Rosenthal,” says Dan Fredman, who is public relations officer for the Malibu Coast Vintners and Grape Growers Alliance (MCVGG). They are also about the only ones with tasting rooms. “The big problems with tourism and tasting rooms are zoning issues,” Fredman says. Although modern wineries, in spite of their small footprints, have drawn a ton of resistance in recent years from some area residents, the Malibu Coast has a long history of winemaking. The first known vineyard was planted in 1824, and there were hundreds of acres of vines in the region in the late 1800’s before Prohibition and other issues wiped them out. The first modern winemaking operation in Malibu was started only in 1985. There have long been zoning regulations which have limited operations in Malibu, but the tipping point was a land-use plan developed by the Los Angeles County Board of Supervisors as part of the California Coastal Commission oversight. It was approved in mid-2014, about the same time the AVA was getting starting. The story of attack and resistance is time-consuming in its detail. “Do you have a couple of hours to talk?” John Gooden, owner of Montage Vineyards and head of the MCVGGA, asked me when I brought up the subject. Similarly, Fredman tells the story of a writer who wanted to explain the unabridged land-use controversy and was reined in by her editor several thousand words later. In short, and this explanation might not even pass the Wikipedia test, the county plan stopped –at least for now– most future plantings of vineyards in the AVA and threatened to retroactively have vines already planted pulled up. The last time something this severe happened to a wine-growing region was when the Moors invaded the Iberian Peninsula. Of course, there are reasons why the majority of residents have supported the land-use plan, at least initially. There is NIMBY, of course. Additionally, there are concerns that winemaking requires too much water, a precious commodity in the area. Others, included people who have just moved in, dream of rolling back time, to return the land to “the way it used to be” – as long as they can remain on it, of course. Some fear a Napa Valley-like crush of wine tourism. Then there are the aesthetes who prefer to gaze out their windows at chaparral rather than at Pinot Noir vines. Most of the resistance was whipped up by an aggressive county commissioner, Zev Yaroslavsky, who pushed the measure shortly before he was to retire. “He wanted to ride out on his white horse, saying, look how I protected the environment,” Gooden says dryly. The wineries have been fighting back in court and through public education with some victories. They explain that vineyards can serve as firebreaks when the area is threatened by wildfires, as it frequently is. And they point out that modern winemaking takes up much less water than it once did – and that other forms of water-consuming agriculture are still permitted. Tourism? Not all wineries are interested in tourism to begin with, and tourism certainly can be controlled through strict tasting room regulations. The wineries maintain they have always been good neighbors. “Most of the vineyards are on hillsides and are sustainably farmed with few sprays,” Gooden says. 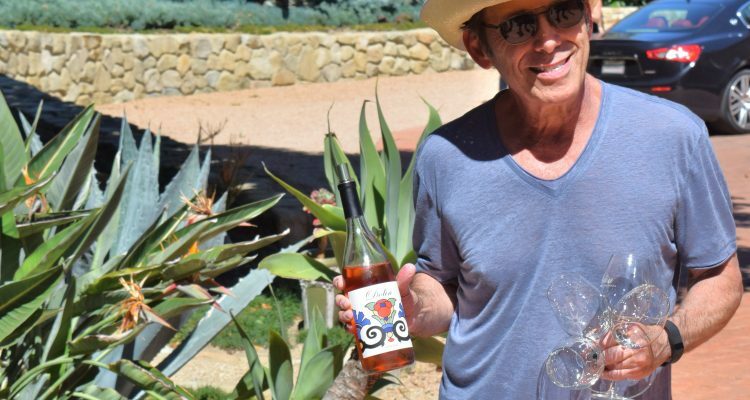 “Think of the Malibu Coast AVA as hand-tended small vineyards like they have in Burgundy and elsewhere in Europe.” Like Dolin and most other Malibu wineries, Gooden’s Montage winery is quite small. He grows Viognier, Pinot Noir and Syrah and makes only 200-300 cases, depending on the vintage, and has to buy some local Grenache to get to that level. Wow, what a completely botched job in so many respects. Like, the bad reporting on the water supply. These boutiques are nearly all watered with domestic water supplies. Residents are being hit with punitive water rates for “overconsumption” when we domestic users are all averaged together with the boutique, hobby agriculturists. 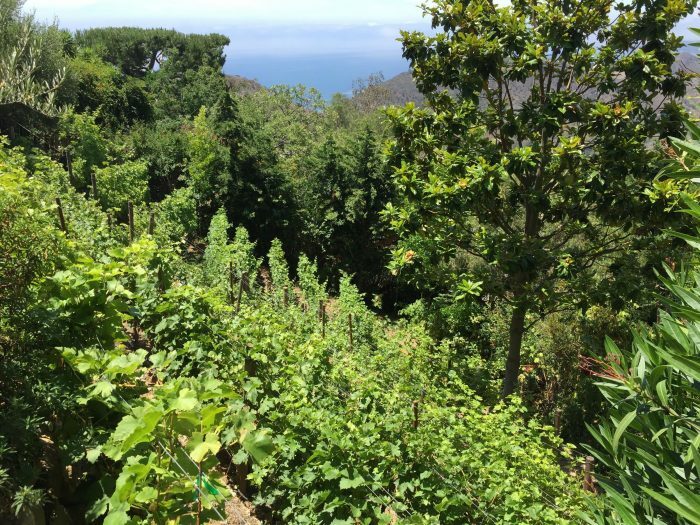 Last winter, Malibu homeowners were taking showers in tubs to keep shade trees alive, while new vineyards were at the same time being planted with impunity. By thw way, the local water comes from the Sacramento delta, 400 miles and two mountain ranges away. Is it a good use of this precious water to farm more vineyards, when last I checked there were 400 mile sof vineyards between there and here? Then – what about wildlife impacts? No mention of that. The taxpayers of California and the US have spent millions to create the state parks and Santa Monica Mtn Natl Rec Area that overlaps the Malibu AVA, and are seeing those efforts wrecked by nice new vineyards. How dare the author this this complain that the issues are complex, and then merely ignore the issues? What a piece of crap. The Santa Monica Mountains have been home to agriculture and ranching for several hundred years, and by gosh, the mountains and wildlife are still here! I support local vineyards, others may not. John, when you don’t have logic on your side, the default is to bluster and call people names. Remind you of anyone in political office? I assume, by your logic, you must feel very guilty about living in Malibu and stealing water from another place 400 miles and two mountain ranges away. You probably are getting ready to move somewhere else. I stand by the facts and the articles.